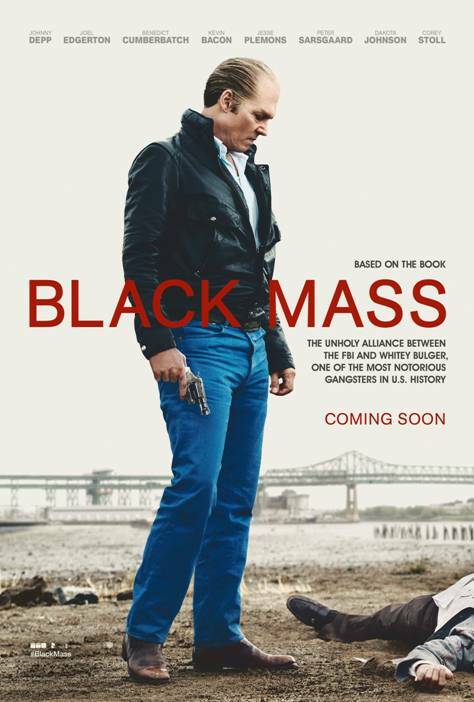 Black Mass – The Feel Good movie of the year!! Okay, just kidding. It’s violent and gritty and there is nothing “feel good” about it, but if you like mob/crime movies, this is a really good one. Great editing, great cinematography, great music — and great acting!! Yay! Black Mass. Starts today, gang!